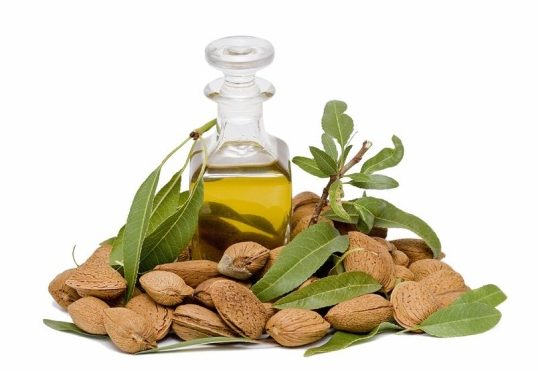 We use USDA certified organic Sweet Almond Oil in a number of our skin moisturizers: Silk Body Butter, Skin's Kiss Moisturizing Body Oil, The Butter Balm, and our Body & Feet Treat Moisturizing Scrub. Sweet Almond Oil is a very versatile hypo-allergenic, lightweight moisturizer that is super emollient, yet easily absorbed and lightweight. It is naturally endowed with the potent anti-oxidant Vitamin E, as well as essential fatty acids, proteins, potassium and zinc, aiding healthy skin and hair. We utilize it in our formulations not only for its nutrient-rich profile, but also because it is lightweight and so easily absorbed. It allows us to use rich ingredients in a formulation, but still keep it balanced and not too heavy on the skin.